Gum disease, a term used to describe gingivitis and periodontal disease, affects millions of Americans. The cause is primarliy due to inadequately removing certain bacteria from your teeth and gingival tissue. Bacteria and food debris can irritate the gums by forming plaque and tartar. This material forms above and below the gum tissue eventually causing inflammation. If left untreated, the inflammation damages the gingival tissue and bone supporting the teeth. This can cause tooth loss over time. Most of the time gum disease does not resolve on its own. You need the help of a dentist or other oral health care professional to restore your gingival health to normal. The treatment can take time, but the good news is that gum disease can be reversed! Gum disease begins with gingivitis, which is another word for inflammation of the gums. If caught early, gingivitis can be treated with a deep cleaning by your dentist in Asheville. Plaque and tartar will be removed through scaling and root planing, which involves thoroughly cleaning the teeth and root surfaces. This cleaning will remove bacteria, plaque, and tartar, and will give you a chance to effectively reverse your gum disease. You health is then best maintained with adequate home care and regular checkups. What Happens If You Don’t Catch It Early? Periodontal disease is progressive if not treated by your dentist. The body’s immune response to the bacteria that cause periodontal disease is inflammation, which can lead to bone loss around you teeth. As the bone is lost, gingival recession can occur giving your teeth a longer appearance. With more root structure showing, your teeth are more likely to develop cavities and be sensitive. Furthermore, the gingival tissue will be swollen and infected sometimes resulting in pain. Advanced gum disease can be controlled but treatment is more involved and costly. It is best to visit your dentist early and maintain regular hygeine appointments. Finally, recent studies are demonstrating that chronic gum disease can efffect other aspects of your health. There is evidence that links chronic gum disease to your cardiovascular health, and for pregnant women, to low birth weight babies. With potentially so much at risk, why would you not maintain your gingival health? Smoking. Smoking can alter the bacterial make-up of your mouth and is one of the biggest risk factors that influence whether or not a person will develop periodontal disease. Dry mouth. Chronic dry mouth can deplete your mouth of healthy bacteria and cause the acceleration of tooth decay and gum disease. Many medications can cause dry mouth, so talk with your doctor if you’re suffering from this condition. Poor oral hygiene. Taking good care of your teeth can help you prevent the onset of gum disease and protect your smile! Brushing and flossing are key practices when preventing and controlling gum disease. Even after your Asheville dentist conducts a deep cleaning, you still need to do the work at home to protect your smile and help keep your mouth healthy. 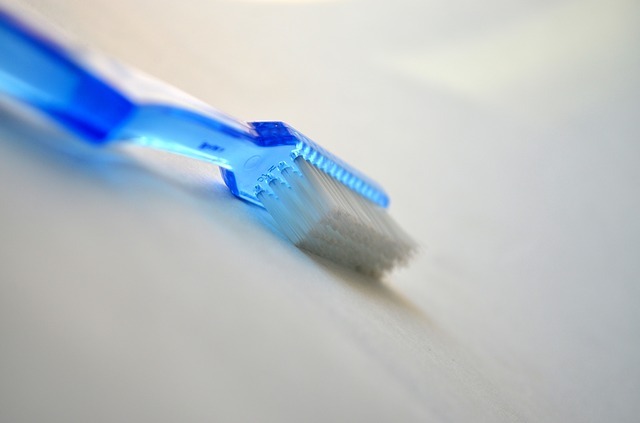 Aim to brush twice a day with a soft-bristled toothbrush and a quality toothpaste and floss once a day. It’s also crucial to avoid smoking, excessive sugar consumption, and eat a well-balanced diet to nourish and protect your teeth and gums. Your gum disease can be treated and potentially even reversed! If you have any signs or symptoms of gum disease, it’s vital to make an appointment with your dentist. Getting a checkup at least once a year will help you to catch periodontal disease early, but if you’re having symptoms, it’s never too late to make an appointment.